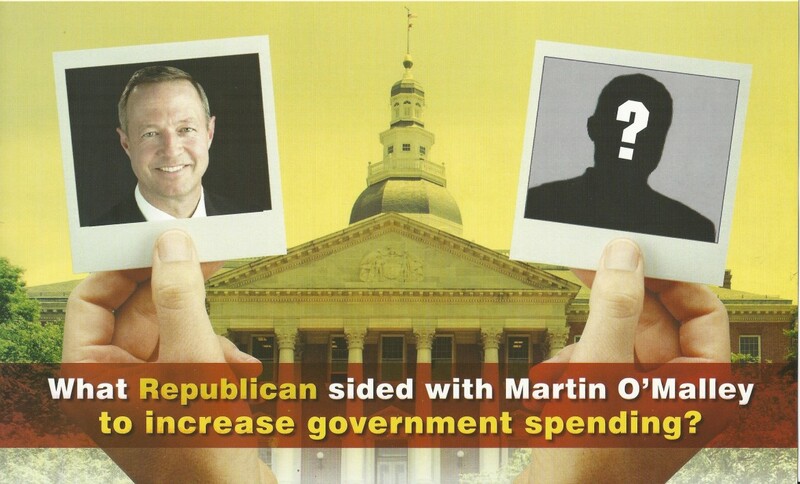 The expected attack mailers in the contentious Republican race for Anne Arundel County Executive began hitting the mail boxes of reliable primary voters this week. Challenger Steve Schuh and incumbent Laura Neuman both associated the other with pictures of one of the most reviled men in Maryland Republican circles: Martin O’Malley, the departing Democratic governor. Some of the facts in the Neuman mailer are sort of true, as most mailers go, but it is a little odd to accuse Schuh of a “liberal voting record.” He prepared several GOP alternative state budgets that didn’t raise taxes. And while he did vote for the rain tax twice, a mandate on counties, he didn’t vote for “raising taxes on Anne Arundel by nearly $1 billion.” That was the County Council, implementing the rain tax. The flip side has an invented scorecard with Democrats giving Neuman A’s and Republicans giving Neuman F’s. Both parties give her F on development in South County. There are likely plenty more mailers to come. Early voting begins in eight days, and the primary concludes in 20 days on June 24.